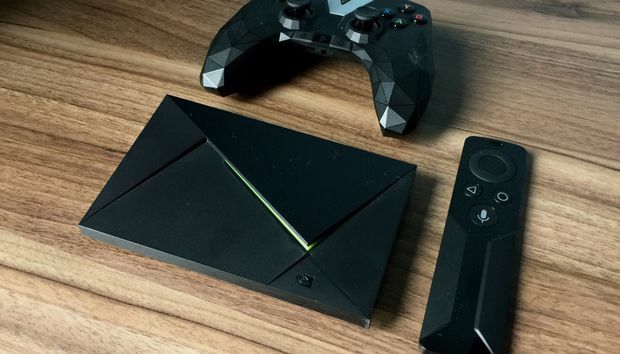 As a pure gaming machine, the new Nvidia Shield TV doesn’t have much in common with other consoles like Microsoft’s Xbox One and Sony’s PlayStation 4. It can’t compete on computing muscle, and can’t natively run many new releases. Still, the Shield has other virtues, aside from being smaller and cheaper than a proper game console. For PC gamers, it’s a way to access those games in the living room through in-home streaming. For people who want high-quality games without the overhead of a proper console, the Shield can stream them through its GeForce Now cloud gaming service. And when the vagaries of remote game streaming won’t do, the Shield has a sizeable selection of downloadable games, including modern indies and some older console classics. None of these offerings are strong enough on their own, but combined with everything else the Shield does as a media streamer, they could add up to a compelling console alternative. Let’s take a deeper look at the Nvidia Shield TV’s gaming chops. The Nvidia Shield TV combines Android games, cloud streaming, and PC-to-console streaming. As with Nvidia’s Shield Portable and Shield Tablet, the Shield TV supports GameStream, which lets you stream games over Wi-Fi or ethernet from a GeForce-powered PC. This lets you play your existing PC game collection on the TV without having to buy another computer. Although GameStream officially supports just a subset of PC games—they’ll appear in Shield’s GameStream menu, and on the Shield home screen once you’ve played them—there’s technically no limit to what you can run. Launching Steam Big Picture on Shield gives access to your entire Steam catalog, and you can add launch shortcuts for any other game through GeForce Experience, Nvidia’s companion software for PCs. GameStream also supports UltraHD streaming. So if you have a 4K or 4K HDR television, a supported graphics card (GeForce GTX 10-series for HDR, many more for 4K), and strong enough network conditions, you might get a better picture than on the ancient 1080p monitor connected to your desktop. The Shield can stream Steam’s Big Picture mode to your television. Just don’t expect GameStream to fully replace native PC play. I’ve used GameStream for years on Nvidia’s Shield Portable and first-generation Shield TV, and while the experience is passable overall, it does introduce a small fraction of a second of input lag, even under the best network conditions. The difference is most noticeable with mouse-and-keyboard input or with shooters that require pinpoint accuracy, and even an ethernet connection on both ends doesn’t completely eliminate latency. Stuttering also becomes a problem if your Shield isn’t getting ideal Wi-Fi reception, so an area that works fine for streaming video might still be troublesome for GameStream. The argument for Shield is that it’s an all-in-one solution for gaming and streaming video, and unlike Steam Link it includes a wireless game controller, which is much improved over the first-generation Shield. If you’re considering a Steam Link, Steam Controller, and Roku or Fire TV, you might as well roll them into one package for about the same price. For folks who don’t own a gaming PC, the Shield tries to fill the void with GeForce Now, which streams games from Nvidia’s remote servers. An $8 per month subscription gets you a selection of back-catalog games, and you can also buy newer games a la carte. With GeForce Now, $8 per month gets you a Netflix-style grab bag of streaming games, but you can purchase others a la carte. Still, the Venn diagram of potential GeForce Now users seems slim. Much like GameStream, the GeForce Now experience is passable, but not on par with local play, and the remote servers are even more susceptible to connection issues. Some major publishers are also still absent from the platform, including Activision, Electronic Arts, and Bethesda. Worst of all, GeForce Now is still siloed from other devices and gaming platforms. It’s not available on PCs, phones, or other TV devices—the upcoming PC and Mac version of GeForce Now is a completely separate entity—and while GeForce Now purchases include download keys for Steam or GOG, save progress does not transfer between platforms. While GeForce Now could appeal to people who bought Shield for other reasons and might be compelled to play the occasional game or two, if you’re at all serious about gaming, you’re better off with a PC or console. Perhaps the strongest argument for the Nvidia Shield TV as a gaming machine is the selection of games you can actually download. While the Shield lacks the power of a proper game console, it holds its own as a platform for cool indie games. The Shield’s downloadable game selection easily beats other streaming boxes. Compared to other streaming devices, like Roku, Amazon Fire TV, and Apple TV, Nvidia has gone above and beyond the standard fare of free-to-play mobile ports. Games like The Witness, Titan Souls, Hotline Miami, GoNNER, Olli Olli, Mercenary Kings, Octodad, Not a Hero, Super Meat Boy, and The Talos Principle aren’t just mindless time wasters. These are well-crafted games with depth, many of which are otherwise only available on pricier PCs and consoles. The Shield isn’t completely devoid of mainstream fare, either. It’s powerful enough to handle some games from the previous console generation, including Borderlands 2, Metal Gear Rising: Revengeance, Portal, Half-Life 2, and Resident Evil: 5. Unfortunately, there aren’t many of these games, and their visual quality doesn’t quite hold up to their original console versions. If your primary goal is to revel in last-gen gaming, consider picking up an Xbox 360 or PlayStation 3 on the cheap. Resident Evil 5 on Xbox 360 (left) vs. Shield (right). Notice the loss of shadows next to the posts. All of these games, by the way, are distributed through the Google Play Store, where you can also find a broader selection of casual games. But many of the Shield’s best games will only run on Shield devices (and in some cases, only on Shield TV). The common thread with these gaming features is that none of them are enough to justify purchasing the Shield over a dedicated game console. But in tandem with everything Shield does as a media player, the gaming features start to make sense. After all, the Shield has a better selection of streaming video apps than any console on the market today. It also has some interesting perks for power users, such as the ability to run a Plex server, roll your own over-the-air DVR, or build your dream media center with Kodi. (The ethical murkiness of Kodi plugins, by the way, pair nicely with Shield’s ability to run classic console emulators.) And in the coming months the Shield will get some serious connected home smarts with SmartThings integration and Google Assistant. While the Nvidia Shield TV is not a master of all trades, the hodgepodge of gaming and streaming features has an alluring way of coming together. If you can find that at least a few of these features resonate, this could be the console for you.